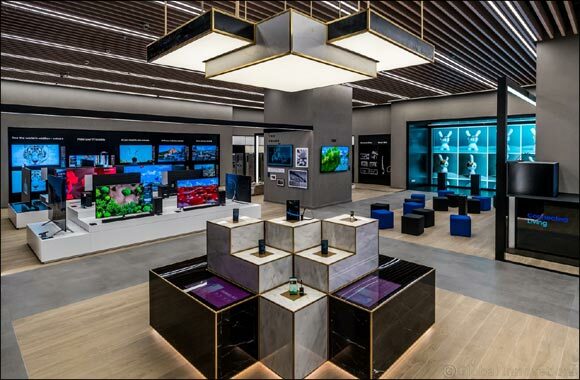 Samsung Gulf has opened a new multi-experience store at the Dubai Mall. The state-of-the-art showroom is the first of its kind in the Middle East and Africa. The showroom was inaugurated by Chung Lyong Lee, president of Samsung Gulf Electronics. Eros Group manages the 853 square metre experience store. Ahmed Badri, director at Eros Group, and Lebanese star Cyrine Abdelnour were also present at the inauguration ceremony. 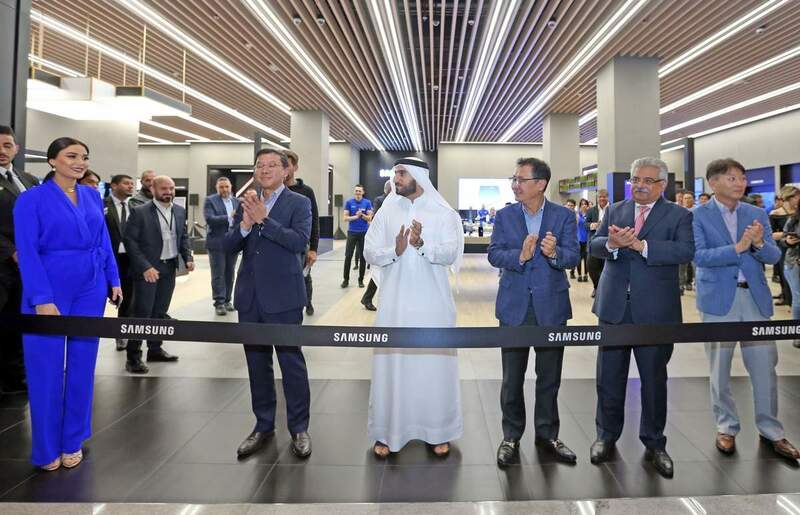 The newly opened Samsung multi-experience store in Dubai is the new destination for digital-savvy customers in the region. Centered around key experience aspects such as gaming and photography, the store is aimed to redefine customer experience and interaction. “The stores may have kept on changing, but keeping superior customer experience in mind has always been the top priority,” said Deepak Babani, executive vice-chairman at Eros Group. Samsung will also display the full suite of its connected devices and other latest technologies in the showroom. The company has displayed its Quantum Dot 8K TV, connected fridge, connected washing machine, and much more. In line with the dynamic and changing trends of modern-day consumers, the devices are interactively displayed through an array of in-store customer experience highlights. There’s also a super-premium Customer Service Area for in-store repairs, further enhancing the customer retail experience. “As a brand, we acknowledge the need to constantly evolve as we embark on digitally enhancing our customers’ lives by showcasing a full suite of solutions,” said Chung. Samsung will also host a customer education programme, the Galaxy Workshop, daily at 7 pm at its new store. In addition, fans will have the chance to win instant prizes through an interactive Augmented Reality ‘Scratch and Win’ promotion during the Dubai Shopping Festival. Arabia is in Africa ? Dubai is a city in U.A.E. U.A.E is part of the Arabian peninsula. Middle East is a group of countries in Asia including U.A.E. What is Samsung Gulf ?